2-for-1 Tuesday! 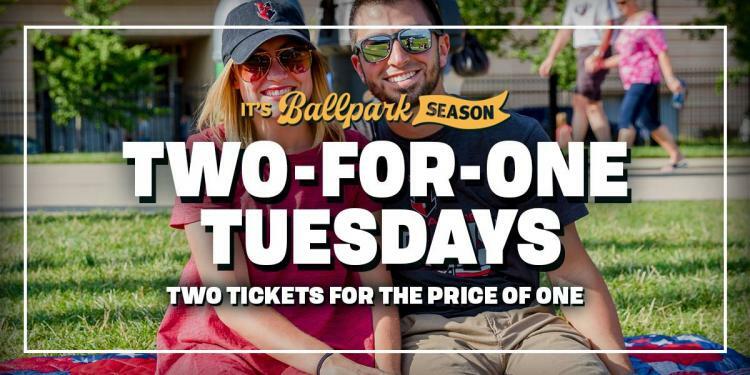 Visit any Central Indiana McAlister's Deli location to pick up a voucher good for two-for-one admission at any Tuesday home game. When purchasing online, enter the promo code on the voucher during Step 3 of your purchase. Gates open at 5:30 PM. Tickets $11-$40. For more details and to purchase tickets, please visit the website link provided.